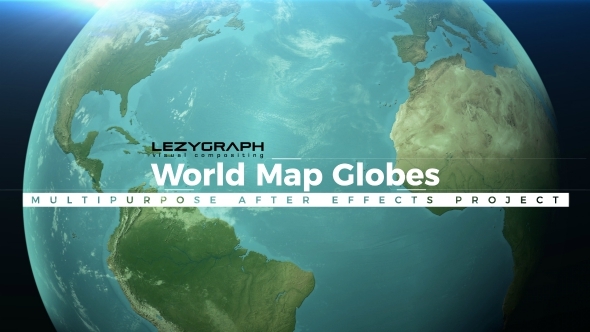 Infographic elements and much more..
World Map Globes is high quality map kit containing entire world in simple clicks. Features provided in this project gives you varieties of options regarding world and its countries. Following provided tutorial you can work with ease even if you are beginner or pro AE user. You can create tourist promos of your country, graphics for documentaries,weather prognoses, openers and simply anything you like about planet Earth.